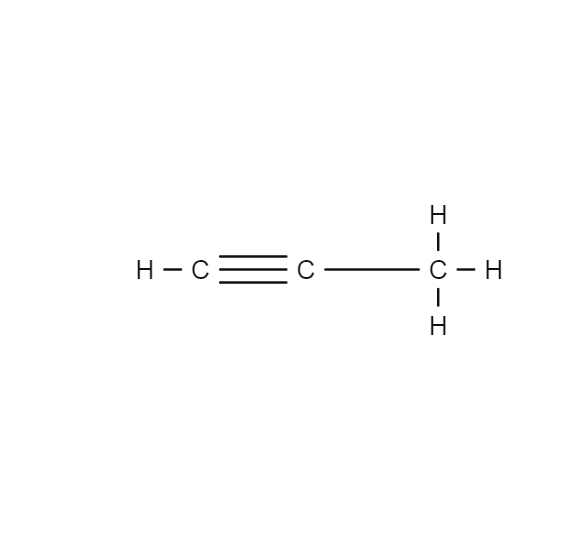 Propyne, or methylacetylene, is an alkyne with the chemical formula CH3C≡CH. It is produced as a side product, often an undesirable one, by cracking propane to produce propene, an important feedstock in the chemical. European space companies have researched using light hydrocarbons with liquid oxygen as a relatively high performing liquid rocket propellant combination that would also be less toxic than the commonly used MMH/NTO (monomethylhydrazine/nitrogen tetroxide). Their research showed that propyne would be highly advantageous as a rocket fuel for craft intended for low Earth orbital operations. It is colorless and highly flammable.